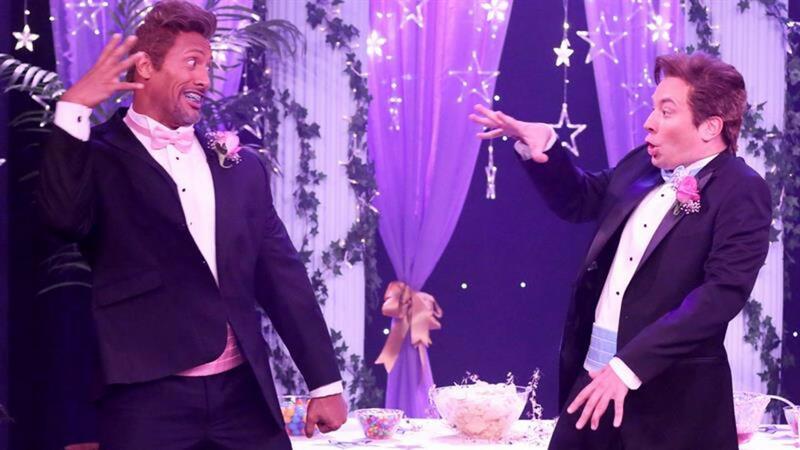 Dwayne "The Rock" Johnson and Jimmy Fallon delighted Thursday's "Tonight Show" audience with a sketch in which they played two very awkward high school seniors at their prom. The two friends decide to roll stag to the big dance, figuring that will free them up to dance with any girl they want. The only problem? Neither one of them has any clue how to talk to women. Any time a woman gets within three feet of them, they become incredibly weird and cannot stop saying "Ermahgerd" over and over. After a number of painfully weird interactions, the duo realizes that they don't need dates to have fun at their prom because they have each other.